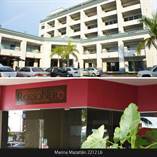 The listings on this page are for Commercial Spaces For Sale in Mazatlan, Mexico. Find the perfect location for your business or office in Mazatlan, Mexico by doing an Advanced Search or by searching our Mazatlan Real Estate listings by map! We want to help you find that perfect commercial space for you and your business so if you do not find what you are looking for here, please Contact Us - we'll do our best to find it for you! Solutions Mazatlan receives new listings very often, so keep coming back to see what is new or sign up for our FREE Listing Notifier and get the inside scoop about Real Estate in Mazatlan, Mexico!